Download APCOB Bank Previous Year Question Papers with Answers in this section. We advise, practicing all the previous papers which help in gaining knowledge over question paper. Also, aspirants can focus on areas where they can score more marks and need to improve. Hence, here are the direct download links for Andhra Pradesh State Co-operative Bank PO Previous Papers. The Exam Papers given below are free of cost. Aspirants can download the pdf with just only one click. However, download the last 5 years Andhra Pradesh State Co-operative Bank Probationary Officer Previous Papers and start your preparation. 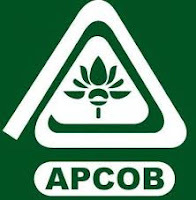 Share the details with your friends who are in search of APCOB Bank Probationary Officer Papers. 1. The _____ states that a foreign key must either match a primary key value in another relation or it must be null. 3. A _____ sometimes called a boot sector virus, executes when a computer boots up because it resides in the boot sector of a floppy disk or the master boot record of a hard disk. 4. Which error detection method uses one's complement arithmetic? 5. A result of a computer virus can not lead to ___. 7. Which of the following does not describe a data warehouse? 8. Which of the following is true ? 11. With the object-oriented (OO) approach, an object encapsulates, or_____.a programmer. 13. A table of bits in which each row represents the distinct values of a key? 14. The degree of detail that should be incorporated into a database depends on what? 15. The ___.converts digital signals to analog signals for the purpose of transmitting data over telephone lines. 16. Before a package can be used in a java program it must be___. 17. Choose the correct way to indicate that a line in a C++ program is a comment line, that is, a line the will not be executed as an instruction___. 19. Firewalls are used to protect against___. 21. Three SQL, DDL, CREATE commands are__. 22. Data are ________ in client/server computing. 23. Which of the following will not eliminates the ambiguities of a null value? 24. The____directory is mandatory for every disk. 25. This is a group of servers that share work and may be able to back each other up if one server fails.